People, who want to have good, healthy and flawless skin, would have listened about K Beauty. But do you know what does this K Beauty mean? It means Korean beauty. I think we all want to know the secrets, how Korean women have such a flawless, shining, glassy and healthy skin. When we search about best skin care tips on the internet, one term which come forth is “aka skin care” from Korea. This is nothing but simply a process of cleansing and hydrating of skin in such a way that makes your skin flawless and glassy. So I am going to tell you some of the tips of Korean beauty regime to get a glassy and flawless skin like a Korean girl. So here are the 8 Korean beauty secrets for a crystal clear glass skin. Read more here for Korean beauty hacks…..
It’s a fact that our skin is exposed daily to harmful UV rays of sun. This is also one of the major factor of our skin aging. SPF forms a proactive layer on our skin and saves us from the harmful radiation of sun rays. SPF uses for skin in Korea, are great. It is one of the best Korean beauty secrets and their daily routine. Always when they come out from their homes, they apply moisturizer or foundations which contain SPF. Korean are very advanced in technology now a days they are using invisible SPF which works well on all skin type. So we must remember that this is the first and very important step to get a glassy skin like Korean. Your skin health depends on the cleanliness of your skin. It is a common practice in Korea that the Korean girls double cleans their skin or face. Cleaning twice at time, gives you a skin which is completely free from any kind of dirt, dust and grimes. Hence this practice saves you from any type of breakout on your skin i.e. pimples, acne and other blemishes. This is a unique practice adopted by Korean as they use different kind of moisturizer for day and night. In day you need a moisturizer that can protect you from harmful sun rays. In night you need a moisturizer which can nourish your skin. Korean uses a light weight layer of hydration. They usually use the light weight cosmetic products. Korean don’t use thick moisturizer cream or foundations. They also eat food which has low sodium content. This practice helps them to maintain the water level in their skin hence this practice hydrate their skin well. They are habitual of drinking water whenever they take a break from their work. All the way they keep their skin hydrated. Korean has glassy skin, we all know and what about neck. Most of you have observed that Korean girl has same glassy skin on their face and on their neck. This is due to as they apply cream on their neck also. As they take care of their face in a same way they take care of their neck. This practice makes them more beautiful. This technique is also used by so many Korean model and common women. 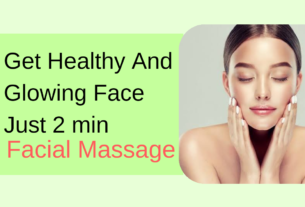 As per this technique you have to clean your face with cleansing oil up to 4 min. Then clean your face with foaming wash up to 2 min. now wash your face with Luke warm water. After 4 min later, wash your face with cold water. Exfoliation is an essential step in order to get a perfect flawless glowing skin. But what mistake we usually do is, we use hard granule scrub. It can be very harmful for our skin. So always try to use mild scrub products or some natural one. We must avoid any kind of rough rubbing, pulling and scrubbing on our skin. You can also opt for overnight exfoliation masks available in the market. Now a day’s cosmetic market is full of sheet masks. This is a Korean product and technique. These sheet mask are rich in ingredients, those are good for your skin. They don’t let the essence evaporates in the air available in these sheet masks. Essence available in these masks will be absorbed completely in your skin. So use these sheet masks for a good glowing and crystal clear skin. Hope you like this article. If you know more Korean Beauty Secrets please share them with me. For any query or suggestion please write in the comment box.